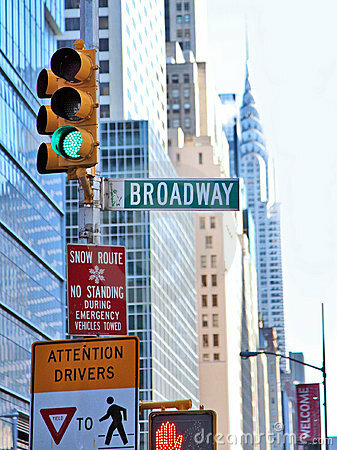 While on vacation with your vehicle or after relocating to the State of New York, you will have to worry about winter parking in New York as alternate side parking and street cleaning regulations will be suspended during a snow emergency making spots harder to find as these will be taken up by locals who prepared for storms and are familiar on where to park. As for winter parking, you will need to avoid parking at all times on any of the 250 snow emergency routes in New York as if a snow storm hits the New York area by surprise, you may discover your vehicle later on with a parking ticket or two for failing to move it in time and will have to waste precious time later on to find parking at alternate areas along with making time to appear in court if you plan to fight the tickets at Finance Business Centers. In some instances, your vehicle will qualify for the city’s valet service and will be towed at your expense to one of four (4) in impound lots in New York City. By knowing and following the rules, you can help reduce black ice & manhole fires in New York by helping the city to be able to clear the streets quickly and safely. 3 Ave. 3 Ave. Bridge – 161 St.
3 Ave. East 163rd St. – East 168th St.
Baychester Ave. Co-op City Blvd. – Bartow Ave.
Broadway City Line – W. 230 St.
Bruckner Blvd. N & S Service. Rds Bronx River Ave. – Zerega Ave.
Bruckner Blvd. Whitlock Ave. – Lincoln Ave.
Burr Ave. Pelham Pkwy South – Westchester Ave. Co-op City Blvd. Baychester Ave. – Bartow Ave.
Concourse Village E E. 156 St. – E. 161 St.
Crosby Ave. Bruckner Blvd. – Westchester Ave.
Cross Bx Expwy N & S Service.Rds. 3 Ave. – Park Ave.
Cross Bx Expwy N & S Service.Rds. Castle Hill Ave. – Westchester Ave.
E 138 St. Major Deegan Exp. – Bruckner Blvd. E 149 St. Exterior St. – Bruckner Blvd. E 161 St. Jerome Ave. – 3 Ave.
E 167 St. Jerome Ave. – Webster Ave.
E 175 St. Grand Concourse – Jerome Ave.
E L Grant Highway Washington Pl. – Jerome Ave.
E/W Tremont Ave. Andrews Ave. – Schurz Ave.
Henry Hudson Pkwy (E/S Rd) Kappock St. – W 254 St.
Henry Hudson Pkwy (W/S Rd) W 254 St. – Kappock St.
Hunts Point Ave. Southern Blvd. – Oak Point Ave.
Hutchinson River Pkwy E Palmer Ave. – Bartow Ave.
Jerome Ave. Sedgwick Ave. – E 233 St.
Johnson Ave. Riverdale Ave. – Kappock St.
Kappock St. Johnson Ave. – Kappock St.
Laconia Ave. E 224 St. – E 225 St.
Melrose Ave. E 149 St. – Webster Ave.
Metcalf Ave. Westchester Ave. – Watson Ave.
Pelham Pkwy N & S White Plains Rd – Stillwell Ave.
Pelham Pkwy S Hutchinson River Pkwy – Burr Ave.
Riverdale Ave. Johnson Ave. – W 239 St.
Sedgwick Ave. Jerome Ave. – West 167 St.
Soundview Ave. Bruckner Blvd. – Metcalf Ave.
Soundview Ave. Bruckner Blvd. – Cornell Ave.
Southern Blvd. Bruckner Blvd. – Westchester Ave.
Tremont Ave. Andrews Ave. – Schurz Ave.
Van Cortlandt Ave. S Broadway – Bailey Ave.
Van Cortlandt Ave. W Bailey Ave. – Sedgwick Ave.
Washington Ave. Fordham Rd – 161 St.
Willis Ave. Major Deegan Exp. – E 149 St.
3 Ave. Shore Rd – Livingston St.
4 Ave. Belt Pkwy – Flatbush Ave.
11 Ave. New Utrecht Ave. – 86 St.
18 Ave. 52 St. – Cropsey Ave.
Adams St. Atlantic Ave. – Tillary St.
Avenue L Flatbush Ave. – Nostrand Ave.
Avenue N McDonald Ave. – Coney Island Ave.
Avenue R Nostrand Ave. – E 36 St.
Avenue S Flatbush Ave. – E 36 St.
Avenue U 86 St. – E 74 St.
Bay 8 St. Belt Pkwy – Cropsey Ave.
Bedford Ave. Taylor St. – Rogers Ave.
Berry St. Broadway – Nassau Ave.
Borinquen Pl. Havemeyer St. – Rodney St.
Broadway Wythe Ave. – Flushing Ave.
Buffalo Ave. Eastern Pkwy – E New York Ave.
Bushwick Ave. Flushing Ave. – Jamaica Ave.
Cadman Plaza West Prospect St. – Joralemon St.
Church Ave. Coney Island Ave. – 37 St.
Conduit Blvd. Atlantic Ave. – Sutter Ave.
Court St. Atlantic Ave. – Hamilton Ave.
Cropsey Ave. 14 Ave. – W 17 St.
Dekalb Ave. Fulton St. – Bushwick Ave.
Driggs Ave. Broadway – Lorimer St.
Eastern Pkwy Grand Army Plaza – Atlantic Ave.
Eastern Pkwy Ext. Atlantic Ave. – Bushwick Ave.
Flatlands Ave. Flatbush Ave. – Pennsylvania Ave.
Flushing Ave. Navy St. – Cypress Ave.
Foster Ave. Kings Highway – Remsen Ave.
Foster Ave. Rockaway Pkwy – Bank St.
Franklin Ave. Wallabout Ave. – Washington Ave.
Fulton St. Flatbush Ave. – Jamaica Ave.
Glenwood Rd Avenue H – Ralph Ave.
Greenpoint Ave. McGuinness Blvd. – Kingsland Ave.
Hamilton Ave. Van Brunt St. – 3 Ave./18 St.
Jamaica Ave. Atlantic Ave. – Bushwick Ave.
Jay St. Atlantic Ave. – Sands St.
Kings Highway Bay Pkwy – Howard Ave.
Lafayette Ave. Flatbush Ave. – Bushwick Ave.
Lee Ave. Flushing Ave. – Taylor St.
Linden Blvd. Flatbush Ave. – Conduit Blvd. McGuinness Blvd. Meeker Ave. – Freeman St.
Metropolitan Ave. Rodney St. – Onderdonk Ave.
Mill Ave. Ralph Ave. – Strickland Ave.
Myrtle Ave. Flatbush Ave. – Wyckoff Ave.
Nassau Ave. Berry St. – Varick St.
Nassau St. Navy St. – Flatbush Ave. Ext. Nostrand Ave. Emmons Ave. – Flushing Ave. Ocean Pkwy Parkside Ave. – Surf Ave.
Old Fulton St. Prospect St. – Furman St.
Parkside Ave. Flatbush Ave. – Coney Island Ave.
Remsen Ave. Linden Blvd. – Seaview Ave.
Rockaway Ave. Rockaway Pkwy – Atlantic Ave.
Rockaway Pkwy Belt Pkwy – Rockaway Ave.
Rodney St. Borinquen Pl. – Metropolitan Ave.
Rogers Ave. Bedford Ave. – Flatbush Ave.
Seaview Ave. Remsen Ave. – E 108 St. Shore Pkwy N & S Service. Rds Ocean Ave. – Knapp St.
Stillwell Ave. Bay Pkwy – Surf Ave.
Strickland Ave. Mill Ave. – E 56 Dr.
Tillary St. Cadman Plaza West – Navy St.
Utica Ave. Fulton St. – Flatbush Ave.
Vanderbilt Ave. Plaza St. East – Atlantic Ave.
W 17 St. Cropsey Ave. – Surf Ave.
Washington Ave. Franklin Ave. – Flatbush Ave.
Wythe Ave. Broadway – Wallabout Ave.
1st Ave. Houston St. – E 125 St.
2nd Ave. Houston St. – E 128 St.
3rd Ave. Bowery – E 128 St.
5th Ave. 25 St. – 120 St.
7th Ave. Varick St. – W 14 St.
8th Ave. Hudson St. – W 14 St.
9th Ave. W 14 St. – W 59 St.
10th Ave. Nagle Ave. – W 207 St. W 14 St. – W59 St.
14th St. FDR Dr. – 11 Ave.
23rd St. FDR Dr. – 12 Ave.
34th St. FDR Dr. – 12 Ave.
42nd St. 1st Ave. – 12 Ave.
55th St. Sutton Pl. – 12 Ave.
56th St. Sutton Pl. – 12 Ave.
57th St. Sutton Pl. – 12 Ave.
59th St. 2nd Ave. – 5 Ave.
60th St. 2nd Ave. – 5 Ave.
86th St. York Ave.-5 Ave. Central Pk W-Riverside Dr.
120th St. 5 Ave. – Riverside Dr.
124th St. Mt. Morris Park W – 5 Ave.
125th St. 1st Ave. – Riverside Dr.
Allen St. Houston St. – Division St.
Amsterdam Ave. Ft. George Ave. – W 59 St.
Avenue A Houston St. – E 14th St.
Avenue B Houston St. – E 14th St.
Broadway W 181 St. – W 207 St.
Broadway Canal St. – E 14th St.
Broadway W 110th St. – W 155th St.
Broome St. Lafayette St. – Varick St. Chambers St. West St. – Centre St.
Chrystie St. Houston St. – Canal St.
Clinton St. E. Broadway – Houston St.
Columbus Ave. Cathedral Parkway – W 59 St.
Delancey St. Bowery – FDR Dr.
E. Broadway Bowery – Clinton St.
Essex St. Houston St.- Canal St.
Ft. George Ave. Amsterdam Ave. – St. Nicholas Ave.
Frederick Douglass Blvd. W 145 St. – Macombs Pl. Grand St. Varick St. – FDR Dr.
Hudson St. Chambers St. – 8 Ave.
Lafayette St. Kenmare St. – Broome St.
Lenox Ave. W 110 St. – W 145 St.
Macombs Pl. Frederick Douglass Blvd. – W 154 St.
Madison St. Pearl St. – Grand St.
Mt. Morris Park W 120 St. – 124 St.
Nagle Ave. Broadway – 10 Ave.
Pearl St. St. James Pl. – Fulton St.
Pike St. Division St. – South St.
Water St. State St. – Pearl St.
15 Ave. 110 St. – 127 St.
20 Ave. Parsons Blvd. – 119 St.
23 Ave. 119 St. – Linden Pl. 43 Ave. Whitney Ave. – 108 St.
73 Ave. Main St. – 230 St.
21 St. Ditmars Blvd. – 49 Ave.
82 Ave. Roosevelt Ave. – Baxter Ave.
108 St. Roosevelt Ave. – Horace Harding Exp. 154 St. Northern Blvd. – Clintonville St.
162 St. Northern Blvd. – 46 Ave.
164 St. 46 Ave. – Jamaica Ave.
187 Pl. Hillside Ave. – Jamaica Ave.
188 St. Utopia Pkwy – Jamaica Ave.
222 St. Hempstead Tpke – Jamaica Ave.
223 St. Northern Blvd. – 46 Ave.
Astoria Blvd. 31 St. – Northern Blvd. Atlantic Ave. Eldert La – Van Wyck Exp. B 25 St. Brookhaven Ave. – Beach Channel Dr.
Baxter Ave. Broadway – Roosevelt Ave.
Bell Blvd. 208 St. – Northern Blvd. Booth Memorial Ave. College Pt Blvd. – Horace Harding Exp. Braddock Ave. Springfield Blvd. – Jamaica Ave.
Broadway Roosevelt Ave. – Queens Blvd. Brookhaven Ave. B 30 St. – B 25 St.
Cloverdale Blvd. 46 Ave. – Horace Harding Exp. College Pt Blvd. Northern Blvd. – 5 Ave.
Commonwealth Blvd. Marathon Pkwy – Jamaica Ave.
Cross Island Pkwy S/S Rd 208 St. – Clearview Exp. Cypress Hills St. Fresh Pond Rd – Jamaica Ave.
Ditmars Blvd. 21 St. – 48 St.
Douglaston Pkwy 38 Rd – Horace Harding Exp. Edgemere Ave. B 59 St. – B 32 St. Farmers Blvd. 99 Ave. – Rockaway Blvd. Flushing Ave. Cypress Ave. – Grand Ave.
Francis Lewis Blvd. Cross Island Pkwy – Linden Blvd. Fresh Pond Rd Flushing Ave. Myrtle Ave.
Grand Ave. Flushing Ave. – Queens Blvd. Greenpoint Ave. Review Ave. – Queens Blvd. Guy R. Brewer Blvd. Jamaica Ave. – Rockaway Blvd. Hollis Ave. Jamaica Ave. – Springfield Blvd. Homelawn St. Grand Central Pkwy – Hillside Ave.
Jackson Ave. Vernon Blvd. – Queens Blvd. Junction Blvd. Queens Blvd. – 32 Ave.
Kissena Blvd. Main St. – Parsons Blvd. Liberty Ave. Rockaway Blvd. – Farmers Blvd. Linden Pl. 23 Ave. – Northern Blvd. Little Neck Pkwy 40 Ave. – Jamaica Ave.
Marathon Pkwy Little Neck Pkwy – Commonwealth Blvd. Metropolitan Ave. Onderonk Ave. – Jamaica Ave.
Mott Ave. Beach Channel Dr. – Central Ave.
Mrytle Ave. Wyckoff Ave. – Jamaica Ave.
North Conduit Ave. Cross Bay Blvd. – Sutter Ave.
Queens Blvd. Jackson Ave. – Hillside Ave.
Queens Plaza Queensboro Bridge – Jackson Ave. &Northern Blvd. Rockaway Beach Blvd. B 55 St. – B 150 St.
Roosevelt Ave. Queens Blvd. – Northern Blvd. Seagirt Blvd. Beach Channel Dr. – B 3 St.
South Conduit Ave. Sutter Ave. – Cross Bay Blvd. Springfield Blvd. Jamaica Ave. – Rockaway Blvd. Sutphin Blvd. Hillside Ave. – Rockaway Blvd. Thomson Ave. Jackson Ave. – Van Dam St.
Woodhaven Blvd. Queens Blvd. – Rockaway Blvd. Amboy Rd Richmond Ave. – Craig Ave.
Castleton Ave. Richmond Ave. – Jersey St.
Clove Rd Richmond Rd – Hylan Blvd. Ferndale Ave. Rockland Ave. – Travis Ave.
Father Capodanno Blvd. Lily Pond Ave. – Greeley Ave.
Forest Ave. Victory Blvd. – Gulf Ave.
Forest Hill Rd Willow Brook Rd – Platinum Ave.
Forest Hill Rd Richmond Ave. – Yukon Ave.
Huguenot Ave. Arthur Kill Rd – Hylan Blvd. Hylan Blvd. Bay St. – Saterlee St.
Lamberts La Fahy Ave. – Richmond Ave.
Lily Pond Ave./ School Rd Father Capodanno Blvd. – Bay St.
Manor Rd Brielle Ave. – Delafield Ave.
Mason Ave. Seaview Ave. – Cromwell Ave.
McClean Ave. Tompkins Ave. – Norway Ave.
Merry Mount Ave. Richmond Hill Rd – Travis Ave.
Midland Ave. Father Capodanno Blvd. – Hylan Blvd. Narrows Rd South Richmond Rd – Lily Pond Ave.
New Dorp La Hylan Blvd. – Cedargrove Ave.
North Gannon Ave. Slosson Ave. – Victory Blvd. Reid Ave. Norway Ave. – South Railroad Ave.
Richmond Ave. Hylan Blvd. – Forest Ave.
Richmond Hill Rd Richmond Rd – Richmond Ave.
Richmond Rd Richmond Hill Rd – Vanderbilt Ave.
Rockland Ave. Richmond Rd – Brielle Ave. Sand La Father Capodanno Blvd. – Hylan Blvd. Seaview Ave. Hylan Blvd. – Father Capodanno Blvd. Seguine Ave Amboy Rd – Hylan Blvd. Slosson Ave. Todt Hill Rd – Martling Ave.
Targee St. Richmond Rd – Van Duzer St.
Todt Hill Rd Richmond Rd – Slosson Ave.
Trantor Pl. Forest Ave. – Innis St.
Travis Ave. Draper Pl. – South Ave.
Travis Ave. Forest Hill Rd – Richmond Ave.
Willow Brook Rd South Gannon Ave. – Bradley Ave.